Have you experienced a major weight loss, but are still unhappy with your appearance? Are you frustrated with the presence and discomfort of excess skin and tissue? A belt lipectomy procedure, or a circumferential tummy tuck and lower body lift, is a surgical procedure to help smooth, tighten, and lift the abdomen and surrounding areas. Explore the benefits of this procedure during a consultation with our experienced team at Cosmedical Rejuvenation Clinic in Toronto, ON! Dr. Kesarwani has been performing body lifts since the 1990s, so you can be confident knowing that he has the experience to help you achieve the body you want affected by aging and dramatic weight loss. A consultation with our team in Ontario can help you explore everything this multi-beneficial procedure can do for you! This surgical procedure removes excess skin to sculpt, contour, and lift the abdominal area and surrounding areas on the body. The goal of the procedure is to create a smoother, flatter appearance you love. Choosing a belt lipectomy is a commitment to a major surgical procedure. This procedure is performed under general anesthesia in a hospital setting, and an overnight stay is usually required. There will likely be downtime associated with the procedure, and our team will provide you with all proper pre and post-care instructions and recommendations. While you should begin to see results immediately, results will vary for each person. Belt lipectomy procedures are commonly recommended to those who have undergone massive weight loss, either from bariatric surgery, lifestyle changes, or other factors. A consultation with our team in Toronto is the best way to further understand this procedure and determine if it is the best choice for you to achieve your goals. It is important to have realistic goals and expectations for what this procedure can do. If you do choose a belt lipectomy, you have to be ready to commit to a healthy lifestyle with a balanced diet and regular exercise to maintain your results. Ready to give your look a lift? Contact us today at Cosmedical Rejuvenation Clinic and schedule a consultation to learn more about a belt lipectomy procedure! 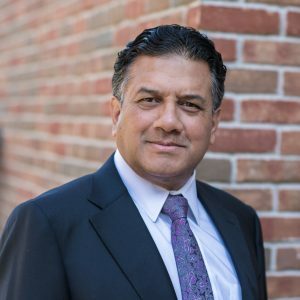 Our team is led by plastic surgeon Dr. Atul Kesarwani, and we proudly serve you from Toronto, Ontario! Dr. Kesarwani can also show you before and after Belt Lipectomy photos from patients he has performed the procedure on previously, during your consultation.